The Disney Den: Update and GIVEAWAY!! 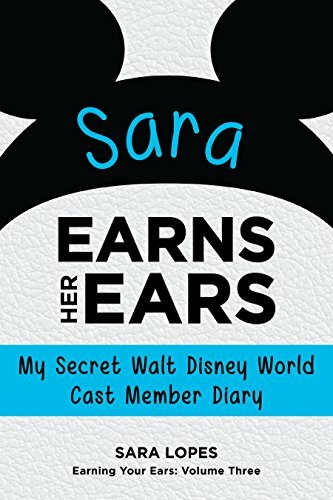 A couple months ago, I published a book called Sara Earns Her Ears, an autobiography about my entire experience in the Walt Disney World College Program. What you might not know is that my book is actually a part of an entire series of stories in the DCP called Earning Your Ears, which currently consists of three other books! In honor of our launch of a new Facebook page dedicated to the Earning Your Ears series, Theme Park Press is giving away the ENTIRE Ears series to one lucky fan! All you have to do to enter is "like" the official Earning Your Ears Facebook page here! If you're the lucky winner and already have some or all of the books in the Ears series, you can choose any other books from Theme Park Press. Winners will be announced April 1st! Good luck, and have a magical day!